President Donald Trump canceled a scheduled visit to Missouri this week. The White House cited a potentially catastrophic hurricane on the East Coast as the reason for the decision. Trump was slated to host a campaign rally Thursday for Republican U.S. Senate candidate Josh Hawley in Cape Girardeau. It would have been President Trump’s fifth visit to Missouri since taking office. The storm did not prevent U.S. Attorney General Jeff Sessions from getting to Kansas City on the same day the President was scheduled to arrive. The nation’s top law enforcement official was speaking at the federal courthouse in downtown Kansas City about efforts to reduce violent crime. Who is More Popular — Trump or McCaskill? While a new poll showed shrinking support for the president, his approval rating is higher than that of U.S. Sen. Claire McCaskill. A Morning Consult poll ranked McCaskill, a Democrat, as the most unpopular senator up for re-election, with an approval rating of 38 percent. The same poll showed President Trump’s approval nationally at 42 percent. KCPT is joining with its sister station in St. Louis to bring you a live televised debate in the race for Missouri’s U.S. Senate seat. Save the date. It’s at 7 p.m. on Thursday, Oct. 18 on KCPT. PBS Newshour host Judy Woodruff will moderate the exchange between McCaskill and her Republican opponent, Missouri Attorney General Josh Hawley. It’s now official. Taylor Swift is the queen of Arrowhead Stadium. More than 58,000 people cheered on the 28 year-old pop megastar during her concert this week at the home of the Kansas City Chiefs. That broke a concert attendance record set by country music star Kenny Chesney, who played Arrowhead as part of his Big Revival Tour in 2015. The Hard Rock Cafe is coming to town. The global restaurant attraction is headed to Wyandotte County at a new site close to the Kansas Speedway. The restaurant will be on the ground floor of a new 231-room, 10-story Hard Rock Hotel. It’s being built as part of the first phase of what is being called the Village South project, on the southeast corner of I-70 and 110th Street. It is expected to open in 2020. The operator of the nearby Hollywood Casino at Kansas Speedway indefinitely shelved plans for a 248-room hotel in 2015. Another electric scooter service has hit the streets of Kansas City. 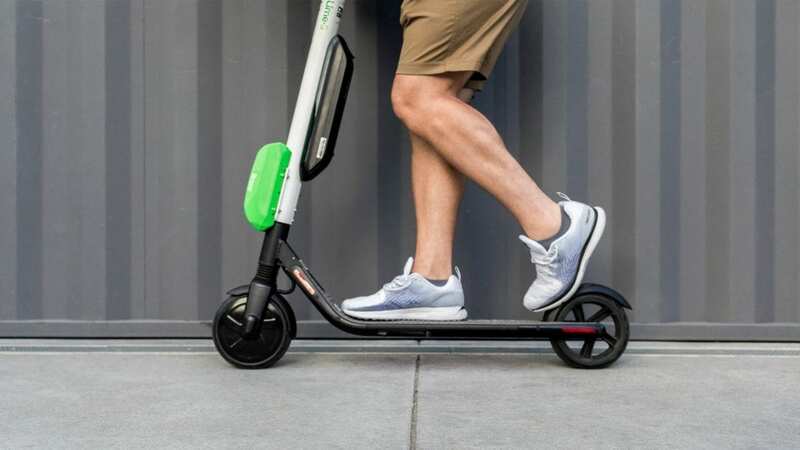 San Francisco-based Lime entered the Kansas City market about two months after rival company Bird rolled out their scooters across the city. Like Bird, Lime charges $1 to unlock the scooter and then 15 cents for every minute afterwards. With hundreds of electric scooters now on the streets, area hospitals said they are now seeing the first scooter injuries coming through their emergency rooms. While most people are fixated on the November election, this week the candidates seeking to become the next mayor of Kansas City, Missouri, squared off in their first debate. The Northland group Forward Kansas City hosted nine mayoral hopefuls. If it seems remarkably early to be deciding who should succeed Mayor Sly James, you’re not wrong. Candidates have until January 8, 2019, to file for the office. The primary election isn’t until April 2, 2019. The general election isn’t until June 18, 2019. Start planning your alternate route now because all northbound lanes on the Buck O’Neil Bridge will shut down this weekend. Missouri Department of Transportation crews will shut down the bridge from 7 p.m. on Friday, Sept. 14, and it will remain closed until 6 p.m. on Sunday, Sept. 16. Southbound lanes are already closed through December. Nick Haines hosts KCPT’s primetime public affairs show, Week in Review. Catch the show Friday at 7:30 p.m., and the rebroadcast Sunday at 11 a.m. on KCPT.